While many foundation problems are similar, each one demands a customized solution to provide the best value and performance. At DBS, we take pride in making the costs for these repairs as clear and easy to understand as we possibly can. 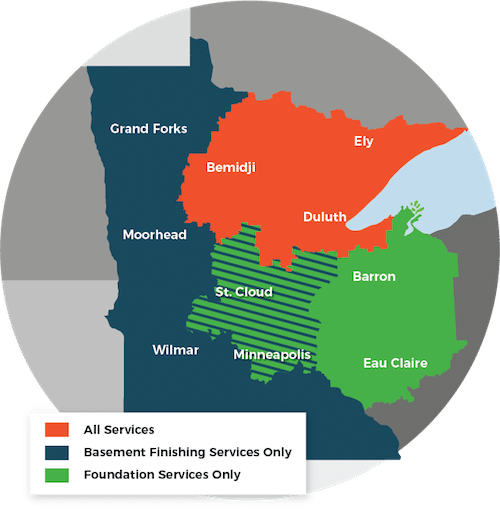 We proudly serve the Minnesota and Wisconsin area, including Duluth, Superior, Minneapolis, and many areas nearby.